We have finalized our line up of bargain events for 2012! Can you say ‘Happy New Year!’? Of course, we’ll be sending out reminders when the events are nearing. Nevertheless, here’s our list so you can already mark the dates on your planner. Buy up to 40 storybooks for only 40 pesos each! Day Care Workers can buy an unlimited amount of storybooks for 40 pesos each. Official ID required. Purchase packages of our preschool books at a much lower price! Get discounts on other products if you show your ID as a preschool teacher. Bargain books available during first 2 days. Brand new storybooks at 60 pesos each. Other titles discounted up to 30% off! Buy brand new big books at only 150 pesos each (from the original price of Php275). Purchase 10 or more, and attend a Teaching Beginning Reading Primer in the afternoon for free! Bargain books available during first 2 days. Brand new storybooks at 55 pesos each. Selected titles up to 35% off! All events, except for the MIBF, will be held at the Adarna House Showroom, which is open Mondays through Saturdays, 8:00 AM to 5:00 PM. Comments Off on Mark your SALE calendars! 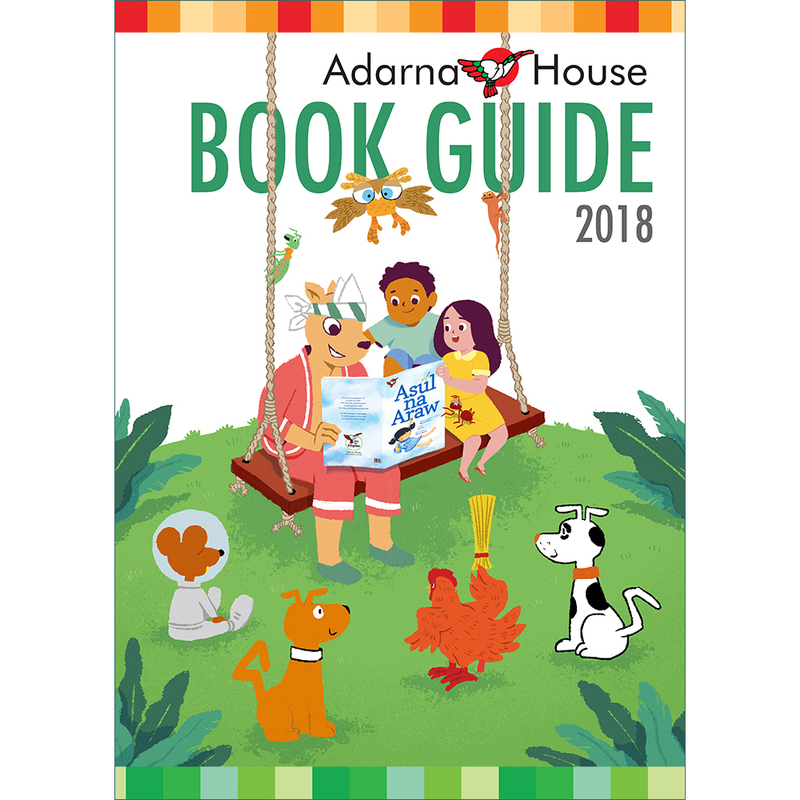 As a company, Adarna House dreams to find at least one of its books in the hands of every Filipino child. We are so happy to announce that we have taken a significant step towards the realization of that dream. Nang Magkakulay ang Nayon, one of our oldest stories, has just been relaunched as our first storybook to have both English and Cebuano texts. The new version, entitled When Color Came to Town, carries the same story and illustrations as originally created by its author and illustrator Susan Dela Rosa Aragon, except that the original Filipino text is replaced by the English and Cebuano translations. Comments Off on Koloran nato ang lungsod! Seven thousand one hundred islands, seventeen regions, one Philippines — that sounds like a good political slogan, but it’s not. What it is is a rundown of the things you’d get to know through our newest reference title! Regional Profiles: People and Places is a factbook on the Philippine regions. It contains various information about a region’s cultural, geographical, social, and economic make-up. Containing a generous amount of data along with photos and other visual representations, the book’s contents were carefully categorized, to make it an easy read. Printed in 204 full-color pages, Regional Profiles is designed by Sergio Bumatay III, and is the collective work of a team of multiple editors, writers, translators, researchers, and layout artists. Available at the Adarna House showroom and all leading bookstores nationwide. Suggested retail price is Php 650.00. Up to 70% off on our books! Comments Off on Up to 70% off on our books!